When I was a teenager, Robert Daley’s book Cars At Speed was my introduction into the world of motor racing. Through the pages of the book I learned of the origins of motor racing and the great city-to-city races using public roads. 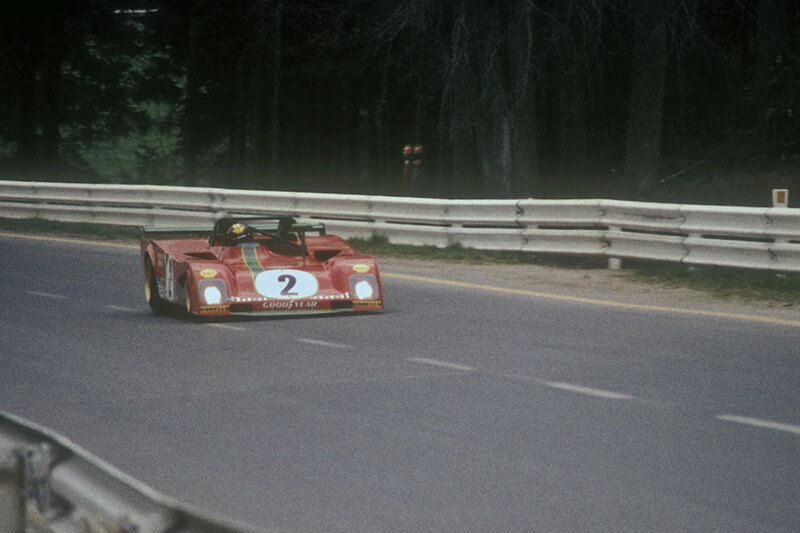 By 1973, only two public road circuits were still in use, the Targa Florio in Sicily and Spa Francorchamps in Belgium. At the time, courtesy of the US Air Force, I was stationed in Wiesbaden, Germany and attending a race at Spa was on my bucket list. In early May I set out for Spa, taking a morning stop at the Nürburgring for a look around and a lap of the Nordschleife. Continuing on toward Spa, not certain of the exact route, I finally arriving late in the afternoon east of the Burnenville corner. Due to the late arrival, my hopes of doing a lap of the circuit were put on hold. 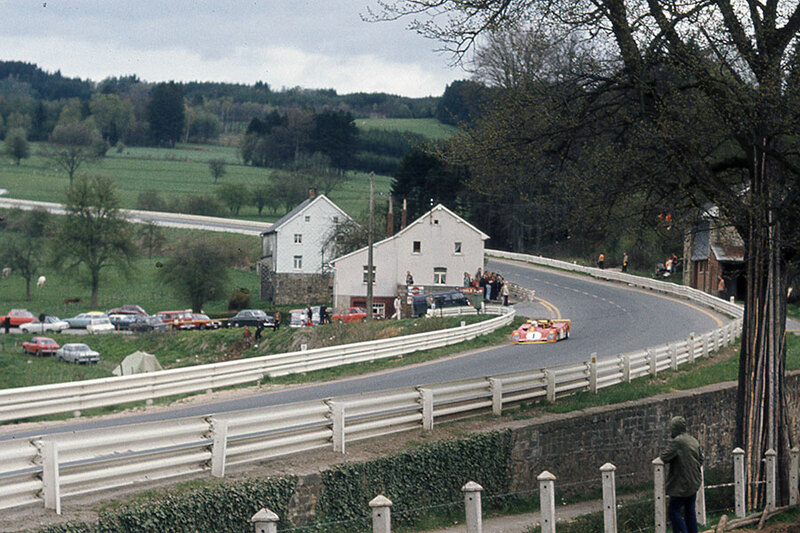 The public roads were closed off for the Saturday Coupes de Spa touring car race. When the touring cars finished and the public roads were reopened to traffic, it was time to do a lap in my Porsche 356. I entered the track at the Malmedy intersection and drove down the Masta straight through the Masta Kink. I quickly discovered that the Masta Kink wasn’t really the kink I’d perceived, but a distinct left turn followed by an immediate right turn, which during the race, the cars take at top speed. I drove through the Stavelot corner, and then made the long climb up to Blanchimont and onto the La Source hairpin corner. Upon starting down the pit straight, I noticed a lot of activity. I parked the 356 and walked over to the pits to find mechanics working on the two Ferrari 312 PB cars. 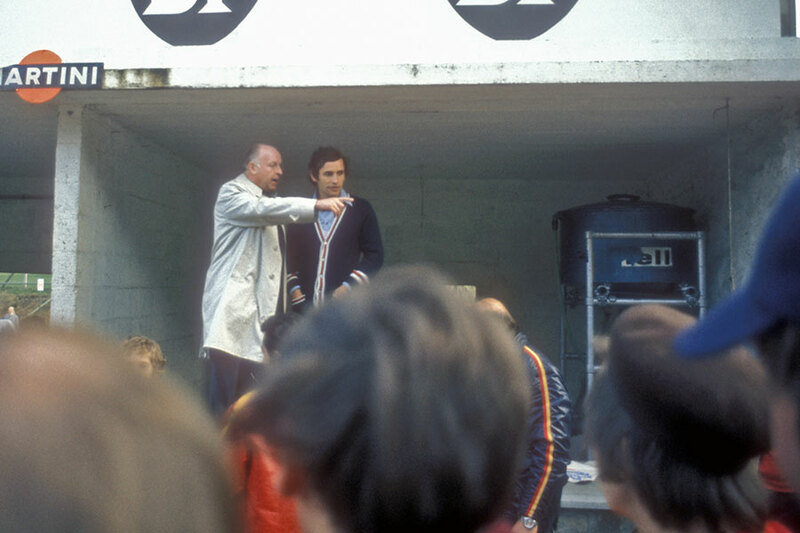 Belgian driver Jacky Ickx was standing on the pit counter and watching the action. I mingled with the other spectators, thanking my lucky stars for this incredible chance encounter, an almost unheard of opportunity. Soon, the cars were started, and the sound was incredible! I was twenty-one years old, thousands of miles from my rural Connecticut town, in the pits of one of the most magnificent racetracks in the world, standing alongside the Ferrari factory prototype racing team. The cars were driven down pit lane toward the team garage, and since the road had been reopened, the Ferrari prototypes were in the mix with everyday road traffic. Absolutely crazy! This must have been one of the last times the world’s fastest prototype racing cars were driven on public roads with regular road traffic. After the two prototypes were driven off I walked through the pit area and discovered the Scuderia Ferrari transporter behind the pits. On Sunday the running of the 1000km Grand Prix de Spa took place. 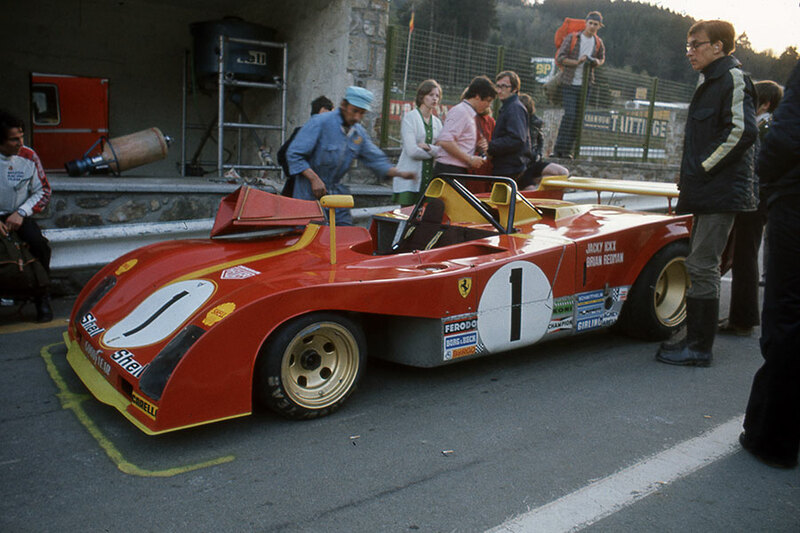 The Ferrari 312PB competed against the Matra MS670B and the Gulf Mirage M6. After the Ferrari and Matra teams encounter troubles the Gulf Mirage M6 won the day.